Editor’s Note: Guest columnist Katrin Silva grew up riding dressage in Germany before moving to the United States at age 19 to learn to ride Western. She’s been riding both disciplines for the last twenty years. Read her article on Contact here. 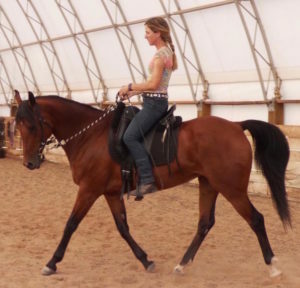 Based in New Mexico, she enjoys improving horse-rider partnerships and firmly believes that good riding is always good riding, no matter which type of tack a horse is wearing. Check out her blog here. The App store is full of ways to streamline our days, ease our frustrations, and improve the quality of our lives. And yet, few address the unique needs and concerns of equestrians. It’s time to remedy this sad situation! Ride the trails with confidence, even if your horse has none. This detailed, interactive map allows you to navigate your trail ride around llama farms, dumpsites, old plastic bags caught in trees, loud weed wackers, tumbleweeds, and irresponsible kids on four-wheelers. 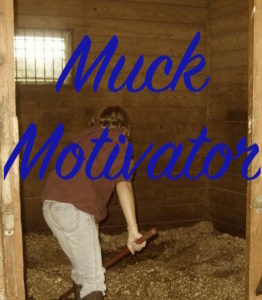 Do you detest shoveling manure in a snow storm? Do you occasionally dread unloading bales of hay? 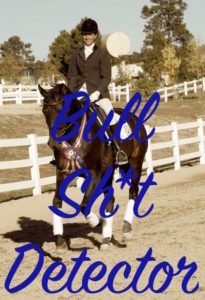 You won’t anymore, once you consider your horse as your fitness coach. It uses a sophisticated algorithm that considers variables like outside temperature, wind speed, and mud depth. Bask in your accomplishment, then tell your friends! The app lets you upload your barn work data directly to social media. Pretty soon, spinning classes will be a thing of the past, replaced by group mucking classes. Whether the woman you just met at the schooling show has really spent months riding with Charlotte Dujardin, rather than just catching a glimpse of her from across the arena? Whether the the cute guy you just met at a bar has really earned that Ranch Riding championship buckle gracing his Wranglers? You no longer have to trust your imperfect gut instinct or act impressed in spite of niggling doubts. This app discreetly scans your conversation partner’s subtle changes in bio-markers including brain activity and body temperature to discover when a narrative diverges from the truth. Set the Bullsh*t-Detector to give off your choice of a high-pitched noise, a blinking red light, or a quiet vibration, depending on the level of embarrassment you wish to cause people who tend to embellish their qualifications and experience level. Tack stores are dangerous placesMoney Management for horse owners made easier! All-Gone is a budgeting tool with categories you really need, like “Impulse purchases from Dover,” “Overpriced supplements the other boarders at my barn guilt-tripped me into buying,” “Snaffle bits that did not solve my horse’s contact issues like I thought they would,” “Vet bill for mysterious lameness,” “Clinic with Olympic Champion,” “Sport psychology sessions to prepare for attending the clinic with the Olympic Champion for which I already paid the non-refundable, outrageously high deposit.” Pie charts will let you see exactly why you are broke before the end of every month. Upgrade to the paid version if you’d like an interlock device that keeps trigger websites like Dover saddlery or Dreamhorse from opening after you’ve had more than one glass of wine. 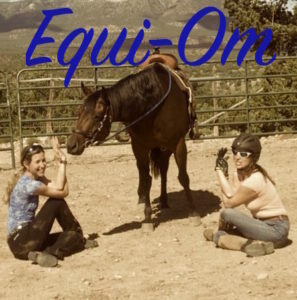 Finally, a mindfulness meditation app you can use when you need it most – during training sessions and at horse shows. Let go of frustration when your horse has ideas that differ from your training goals for the day. Come back to the present moment whenever you start to consider alternative hobbies, like quilting or gardening. Includes visualization tools (choose between a picture of perfect horse-rider harmony or a pyramid of dogwood cans). For $2.99 more, you can upgrade to the Ego-Rebuilder, which will gently remind you of your past accomplishments and positive attributes in painful emergency situations, like when you pick up your score sheet for your dressage test, or after a lesson with a clinician who destroyed every shred of your self-esteem. 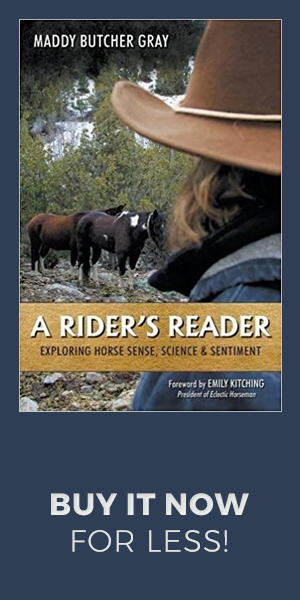 Posted in Horsemen & Women, Humor, Reviews and Links and tagged fun apps for horse riders, katrin silva.